This Saturday, April 14, the Barça Legends will play again (19:00 local time and 00:00 CET), and their opponents will be the legends of Seleçao Pernambucana in the Brazilian city of Recife, specifically in Sao Lourenço de Mata. The match will be held in the Arena de Pernambuco, a stadium that has hosted, among other events, the Confederations Cup in 2013 and matches in the 2014 World Cup. 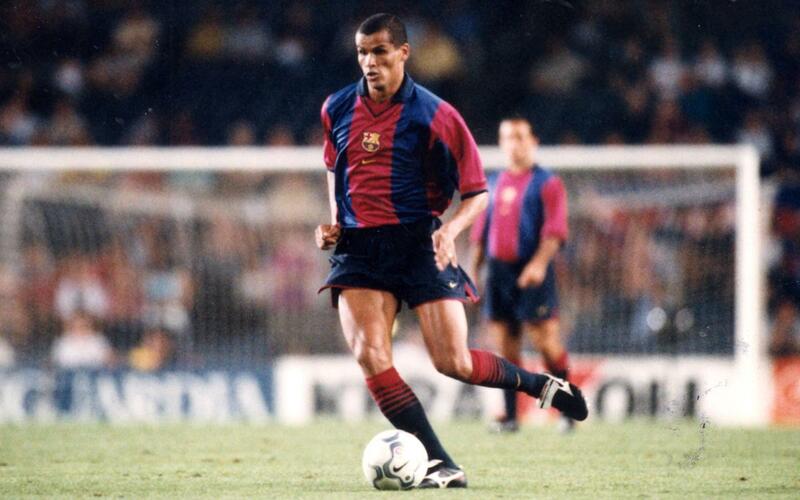 This match also has a special meaning as, not only will it be the first time the Barça Legends have travelled to Brazili, it’s the state where Rivaldo, who will be one of the top attractions in the game, was born. It’s Albert Chapi Ferrer’s fourth game as coach after the victory against the Mambas Legends (0-1), and the duels with Manchester United (2-2) and Hristo Stoichkov & Friends (3-2), and it can be seen on Barça Video and the Club’s YouTube channel. There are five new players in the squad: Roberto Bonano, Arnau, Juan Pablo Sorín, Javier Saviola and Frank de Boer, and they will join the usual Barça Legends of Belletti, Edmílson, Mendieta, Simao, Rivaldo, Dani García, Aloiso, Sánchez Jara, Nadal, Dehu, Giovanni Silva, Abidal and Goiko. Who are the Barça Legends? The Barça Legends are the result of an FC Barcelona programme to cherish the legacy of the players that have worn the first team shirt over the years. It is also another way to globalise the Barça name and values through its former players, as well as a means for stars to continue playing the game they love following retirement from professional duty. The idea behind the scheme is to arrange a series of matches and associated events in different parts of the world. In the near future, more Barça Legends’ fixtures will be announced.